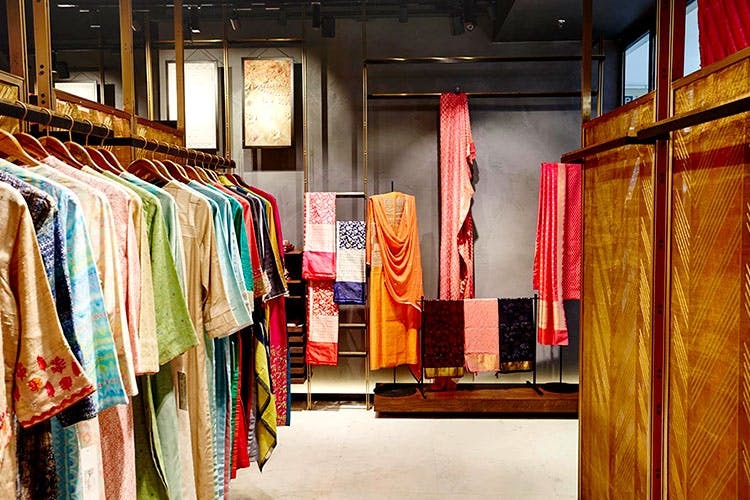 Established in 1969, House of Raisons is a brand dealing in all types of high-quality fabrics, right from men’s suiting to ladies dress material, laces, etc. In the early 90s, House Of Raisons established itself as a name synonymous with the best cotton prints in the market. Today, after years of experience and dedicated love for the crafts, Raison’s is nothing less than being the master of textile. They endeavour to find the best weavers, artisans, and craftsmen from all over the country and strive to fuse contemporary ideas with the traditional. Contemporary men and women looking for a traditional and elegant style. They specialise in re-interpreting age-old Indian techniques and are known for exploring a wide range of weaves from all over India.